D-backs left-handed pitcher Wade Miley is in big league camp after having a terrific season in the minors last year. Miley started at Class-A Advanced Visalia, where he posted a 3.25 ERA in 80 1/3 innings, allowing just one home run in a very homer-friendly league, before being promoted to Double-A Mobile. There, he was fantastic. Miley was 5-2 with a 1.98 ERA in 72 2/3 innings for the BayBears. We caught up with Miley to chat about how things are going. GS: How has the first week in big league camp been? WM: Good so far. It’s been fun being around guys that are out here, the team, the big leaguers. The new complex is amazing. It’s been a great time. GS: Do you have the chance to talk to big league catchers and pitching staff, to get views from different guys on what you have to work on? WM: I try to pick their brains as much as I get an opportunity to. I don’t want to bug them too much. But when I get an opportunity, I talk to them. I actually live with Barry (Enright). So that’s good. I get to communicate a lot with him about things. GS: That Mobile pitching staff last year was pretty impressive. Do you think there’s a chance that almost everybody in that rotation (Miley, Barry Enright, Josh Collmenter, Bryan Shaw, Tom Layne, etc.) is in the Major Leagues in the next few years? WM: Who knows, there’s a chance for anything I guess. That would be great. It was a good staff, a lot of fun. Tom Layne, Collmenter and all those guys, it was fun pitching with those guys. GS: You took a big step forward last year (153 innings, 2.65 ERA), what do you think were the biggest things that progressed for you? WM: I just tried to start focusing on getting ahead in counts. I worked out in the offseason harder than I had prior to Spring Training the last year. The pitching part of it, I felt more into it. I could get ahead, and (decide) what pitch to throw here, what pitch to throw there. I talked with a lot of staff members in minor league camp and they helped me out tremendously. GS: Is there a matter of physically adapting to getting older? This is the body you’ve got, this is the stuff you’ve got, and you can kind of perfect things? WM: When you’re younger, you’re still getting better and better and your stuff gets better. Now I’m 24 years old and I’m at that age where I’ve got to perfect it. Guys who are in here, that’s what they talk about, your stuff is what it is now. Just use it and be the best they can be with what they’ve got. GS: What are your goals for this year? WM: I just want to go out and compete and have a good season. Whatever is in store is in store, I guess. While rumors swirled about big trades in the works, the D-backs made a less notable move Thursday, dealing minor league pitcher Scottie Allen to the New York Yankees for first baseman Juan Miranda. 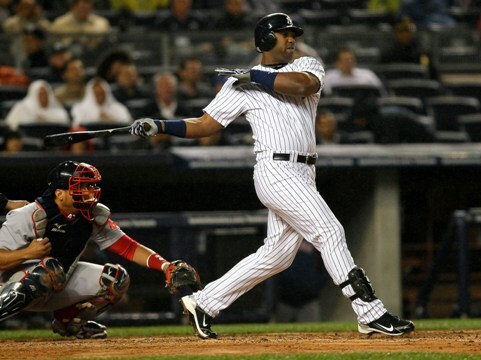 Miranda, a native of Cuba, signed with the Yankees as an amateur free agent in 2006. He debuted in American pro ball in 2007, splitting games between high-A Tampa and Double-A Trenton. He has spent parts of the last three seasons in the Major Leagues — including 33 games with the Yankees in 2010 — while playing the majority of his games at Triple-A Scranton/Wilkes Barre. In 423 minor league games, Miranda posted a .281/.367/.478 line, hitting 62 homers 195 walks and 357 strikeouts. Allen was an 11th round pick of the D-backs in the 2009 Draft and spent the 2010 season as part of a pretty solid South Bend rotation. There, he started 16 games with a 4.73 ERA in 78 innings, with 79 strikeouts and 22 walks. Allen did not crack Kevin Goldstein’s top 20 D-backs prospects on the recently released Baseball Prospectus list. One thing the D-backs have a lot of in their system is mid-level right-handed pitching, and first basemen are another thing they have in spades. So this is a surplus-for-surplus trade from the D-backs perspective, with the local team receiving the guy who could play in the big leagues today if need be. VISALIA–Paul Goldschmidt’s monster season in Visalia has been officially recognized, as the stocky slugger was named the California League’s Most Valuable Player today. Goldschmidt currently leads the league in home runs with 33 and is tied for the lead in all of Minor League Baseball. His average has been above .300 for nearly two months, and his 96 Runs Batted In rank 2nd in the league. With the award, Goldschmidt becomes the 9th Visalia player to be named League MVP. He joins Vada Pinson (1957), George Theodore (1971), Steve Douglas (1978), Les Pearsey (1979), Kent Hrbek (1981), Stan Holmes (1983), Marty Cordova (1992), and Reid Brignac (2006). With 9 MVPs in franchise history, Visalia is now tied with Stockton for the most in California League history. In addition to his MVP award, Goldschmidt was also named the league’s Rookie of the Year (awarded to a player in his first full season of professional baseball). He is the 5th Visalia player to win the award, joining Brignac (2006), Hall of Famer Kirby Puckett (1983), Gene Robinson (1978), and Bob Beall (1958). 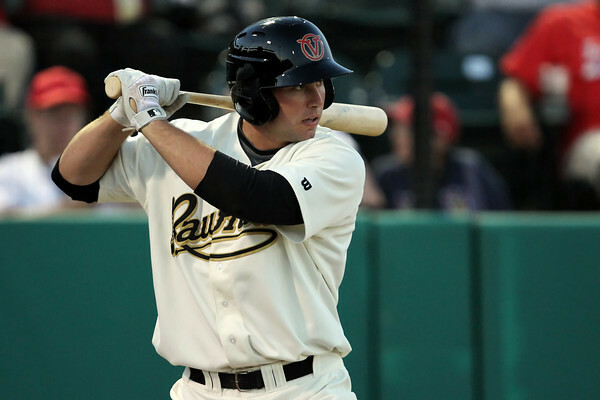 In further honors, Goldschmidt was selected to the California League’s Post Season All-Star Team, along with Rawhide outfielder Marc Krauss. Krauss has slugged 24 homers to date, with a .308 batting average and 82 RBIs. Thanks to the contributions of their all-stars and league MVP, the Rawhide are currently one game ahead of Modesto for the Wild Card playoff spot. They face the Nuts in a crucial 4-game series beginning tonight at Recreation Ballpark. Signing 2010 draft picks hasn’t been the only thing keeping the D-backs’ organization busy. The last two days have also seen a flurry of movement within the minors, with players moving across all full-season affiliates. We’re here to break down all of the moving parts. Monday’s action was focused in the upper minors, centered around right-hander Bryan Augenstein. Augenstein had been removed from the 7-Day DL at Mobile on August 5, making three appearances for the BayBears in what functioned as a sort of “rehab assignment” for him. His first and last outings for Mobile were his best. In his first, Augenstein threw two scoreless innings with two strikeouts and a hit on Aug. 5. In his last outing, Augenstein lasted 3 1/3 innings with one run allowed while scattering seven hits and a walk with four strikeouts on Aug. 12. Augenstein will likely join the Aces’ rotation immediately, partially because right-hander Josh Collmenter, who had been in Reno’s rotation since July 19, was sent to Mobile, opening up a spot. 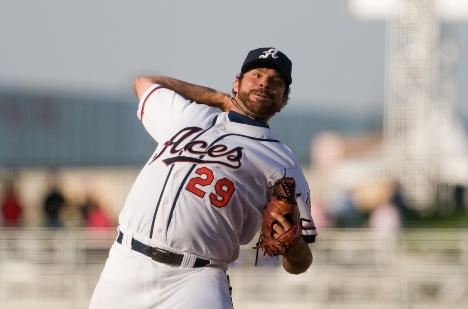 This was Collmenter’s second stint with the Aces in 2010, with mixed results. Collmenter’s Reno debut, on April 30, was arguably his best start at the Triple-A level this year, when he went seven shutout innings with eight strikeouts and just three hits. His last start would have likely been his best since that outing were it not for a pair of home runs – often Collmenter’s undoing in the thin air of the PCL – as he struck out nine and walked just two through six innings of work. Also moving from Reno to Mobile was outfielder Chris Rahl, who had struggled in the first half of the year for Reno, but had ridden a scorching second-half of the season to an overall .813 OPS for the year at Triple-A. Replacing Rahl in Reno is outfielder/first baseman Cyle Hankerd, joining Reno for the second time this year. In six games for the Aces in early-May, Hankerd went 6-for-14 with three doubles, two walks and a strikeout, though he had struggled to a .708 OPS for Mobile in 78 games. One final move from Monday was third baseman/first baseman Ryan Wheeler being promoted to Double-A Mobile from Hi-A Visalia. Wheeler came into the year highly-regarded, having posted a 1.002 OPS in 2009, mostly at short-season Yakima, with eight games at Low-A South Bend as well. This year hasn’t gone quite as planned, as Wheeler posted a .740 OPS at Visalia — though he did post an .820 OPS against right-handed pitching — in a lineup that featured star-quality performances from Marc Krauss and Paul Goldschmidt. Nonetheless, it’s Wheeler who makes the jump to Double-A first. If the Wheeler-to-Mobile move seemed a bit from left field on Monday, Tuesday’s big promotion cleared it up. Top-prospect third baseman Matthew Davidson was promoted from Low-A South Bend to Hi-A Visalia to take over the everyday third baseman job there (and to give Bobby Borchering the everyday third baseman gig for South Bend). Davidson has set the Midwest League on fire all season long, and boasted the sixth-highest OPS amongst MWL hitters with at least 2.7 plate appearances per team game with his .874 mark. Aside from that OPS rank, Davidson was among the league leaders in many other major offensive categories at the time of his promotion — tied for sixth in home runs with 16, fourth in doubles with 35, second in RBI with 79 and sixth in slugging percentage with a .504 rate. Also consider the fact that only one of the players ahead of Davidson on the MWL OPS leader-board, Mike Trout, was younger than Davidson, by about four months. After Davidson, the next youngest on that list was Quad Cities third baseman Matthew Adams, who turns 22 years old on Aug. 31. But that wasn’t the only action from Tuesday. Collmenter’s addition to the Mobile rotation left the BayBears with six starting pitchers, as Augenstein had been throwing out of the bullpen for Mobile prior to his promotion to Reno. So lefty Pat McAnaney, who had struggled for most of the season for Mobile, was sent to Visalia, where he began the season. Also on Tuesday, two players were assigned to South Bend from Rookie-level Missoula — right-hander Derek Eitel, the D-backs’ 17th-round pick from the 2010 draft, and outfielder Chris Jarrett, the D-backs’ 42nd-round pick from the 2010 draft. Eitel was in the Osprey rotation until David Holmberg was acquired from the White Sox in the trade that sent Edwin Jackson to Chicago and also brought Daniel Hudson to Arizona, then was moved to the ‘pen to open a rotation slot for Holmberg. Jarrett had spent 46 games in the outfield for Missoula, mostly in center field. Finally, right-hander Leo Rosales was assigned to Triple-A Reno on Tuesday to begin his rehab assignment after suffering a stress fracture in his foot. He threw a perfect inning of relief for the Aces that night, striking out one. Aug. 17 – RHP Leo Rosales assigned to Reno for Rehab Assignment. Aug. 16 – RHP Bryan Augenstein promoted to Reno from Double-A Mobile. Aug. 16 – OF Cyle Hankerd promoted to Reno from Double-A Mobile. 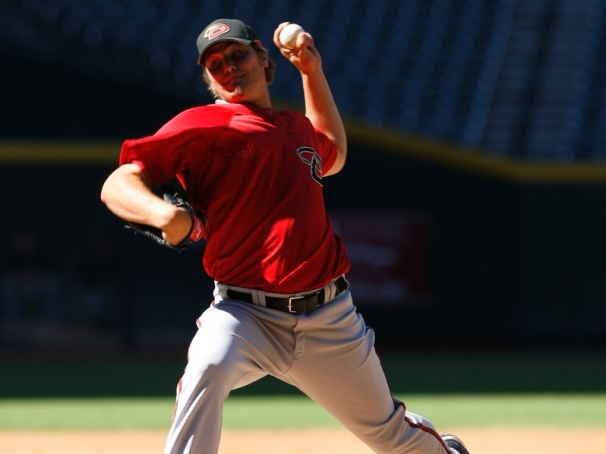 Aug. 16 – RHP Joshua Collmenter assigned to Mobile from Triple-A Reno. Aug. 16 – OF Chris Rahl assigned to Mobile from Triple-A Reno. Aug. 16 – 3B Ryan Wheeler promoted to Mobile from Hi-A Visalia. 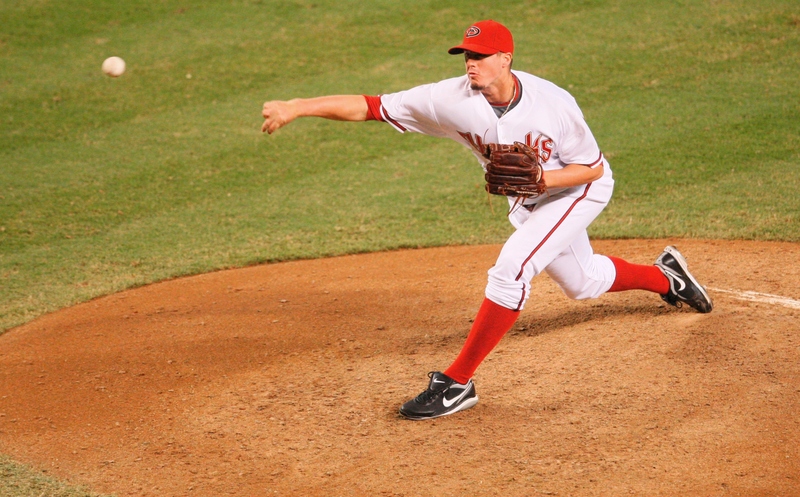 Aug. 17 – LHP Pat McAnaney assigned to Hi-A Visalia from Double-A Mobile. Aug. 17 – 3B Matthew Davidson assigned to Hi-A Visalia from Low-A South Bend. Aug. 17 – RHP Derek Eitel assigned to Low-A South Bend from Rookie-level Missoula. Aug. 17 – OF Chris Jarrett assigned to Low-A South Bend from Rookie-level Missoula. Prior to yesterday’s 9:01 p.m. (Arizona time) deadline for signing draft picks from the 2010 First-Year Player Draft, the D-backs signed three more of their top fourteen selections – sixth-rounder Blake Perry, eighth-rounder James Green, and 14th-rounder Ty Linton. Perry, the 181st overall pick, is an 18-year-old high school right-hander from Florida. He fits the term “projectable right-hander” — much like fellow 2010 picks, second-rounder J.R. Bradley and third-rounder Robby Rowland, high schoolers who signed earlier in the summer — as the team believes that as his body develops, he will add velocity on his fastball and refine his off-speed pitches. According to Aaron Fitt of Baseball America, the D-backs had to sign Perry away from a commitment to play baseball at the University of Kentucky, where his brother, Bryce, already plays. This college commitment kept Perry, a top-round talent, out of the upper rounds of the draft, as teams were worried about whether or not they would be able to sign Perry. Nabbing the 19-year-old Linton was perhaps the most impressive signing from yesterday. Linton fell to the D-backs with the 421st-overall pick in the 14th round due to a strong two-sport commitment to the University of North Carolina, where he would have played baseball and football as a top-rated high school linebacker. To pry Linton away from this two-sport commitment, the D-backs gave him the highest bonus they gave out in the 2010 draft. All indications are that Linton is giving up football to focus solely on baseball. A look at the high school numbers and honors of the three prep players can be found on the D-backs’ website, here. .306 and OBP/SLG/OPS line up to .399/.494/.892 for the 2010 season. K:BB, 2 HR, 5/2 GO/FO. has posted a 2.67 ERA in 27 innings of work, striking out 36 and walking just nine, with a phenomenal 1.93/1 GO/FO ratio. innings, Ortega has allowed just two hits and a walk, while striking out nine and recording a win and two saves. out, both via flyout in his first Visalia appearance. Ramon Castillo – Aug. 10 – 2-for-3, 1 HR, 2 RBI, 1 R, 1:0 K:BB. for the team’s second-best OPS. Michael Freeman – Aug. 9 – 3-for-4, 1 R, 1 SB. on display for Yakima, successful stealing 11 bases in 12 attempts. potential for a big-league reliever here. three. He recorded twelve groundball outs to keep Memphis under control. and recording eight groundball outs. offensive standouts for Visalia as well. Catcher Rossmel Perez reached base three times, and Ryan Wheeler drove in a pair of runs with a two-out double. season on Monday against Lake County. with a pair of hits, including a two-run home run in the third inning. game, going 2-for-3 with a triple, an RBI, a run and a walk. If nothing else, Tyler Skaggs will bring phenomenal long-toss skills to the Arizona Diamondbacks, and he may well be in the best shape of his life. When the trade that sent Dan Haren to the Angels went down in late July, bringing pitchers Joe Saunders, Rafael Rodriguez and Patrick Corbin to Arizona with a player to be named later, many media outlets quickly leaked that Skaggs was the D-backs’ target for the PTBNL. However, Skaggs could not be traded until Aug. 7. Players are not allowed to be dealt until one year after signing their first professional baseball contract, and that was the date one year ago that Skaggs signed with the Angels after being taken 40th overall in the 2009 First-Year Player Draft. So, after pitching on July 23 for the Cedar Rapids Kernels, the Angels’ Low-A affiliate in the Midwest League, Skaggs was effectively in limbo. The D-backs wanted him as the final piece in the trade, so (according to the Orange County Register) they asked the Angels to keep Skaggs from doing any impact activities — lifting weights, throwing a bullpen session, or, of course, pitching game for Cedar Rapids. He would show up to the park for the games, hang around the clubhouse, and be in the dugout, in uniform, for their games. But what activities could Skaggs do? Long-toss and running. On Aug. 7, the trade was completed and Skaggs was sent to the D-backs’ Midwest League affiliate in South Bend. He became the youngest pitcher on the roster — a mere 10 days younger than Scottie Allen — and the youngest position player on the roster, shortstop Chris Owings, is almost a month younger than Skaggs. The D-backs were very high on Skaggs going into last year’s draft. They had seven of the first 64 picks in the draft, and one of those was the 41st overall. The Angels, however, had pick No. 40 and they grabbed Skaggs just ahead of the D-backs. It took them over a year, but the D-backs now have their man. And if the team liked Skaggs a year ago coming out of high school, his performances thus far in professional ball must have them infatuated. Skaggs threw a handful of innings in Rookie-ball for the Angels in 2010, striking out 13 and walking just two in 10 innings of work. But it’s Skaggs’ 2010 season that has to have the D-backs excited. Despite just turning 19 less than a month ago, Skaggs has been toxic to the Midwest League, striking out 82 batters in 82 1/3 innings of work with just 21 walks and six home runs allowed. Opponents are hitting a mere .252 against him and he does a good job of keeping the ball on the ground, with more than 50% of balls put in play against Skaggs are ground balls (according to minorleaguesplits.com). To put these numbers in perspective, the average age of hitters in the Midwest League, according to Baseball-Reference.com, is 21.4 years. So Skaggs is pitching against guys who are, on average, more than two years older than him, and nonetheless the results have been dominant. Skaggs currently sits in the low-90s with his fastball, though with his height (6-foot-4) and thin frame, there may be more velocity on that fastball as his body fills out and develops. He also features a curveball, his best out-pitch, and a developing change-up that may be the key to his success going forward. It will take a while for Skaggs to take the field for South Bend, as he now has to throw short bullpen sessions to begin stretching out his arm after being inactive for a couple weeks. But Skaggs, who instantly becomes one of the elite prospects in the D-backs’ system, is likely glad to be pitching again, in any capacity. After all, it’s got to be better than long-toss and running.